Victoria Zegarelli of Long Island, N.Y., is no stranger to NAILS readers. She has been featured numerous times in the magazine, on our social media, and is a two-time NTNA contestant. She recently took on a whole new, life-changing experience. 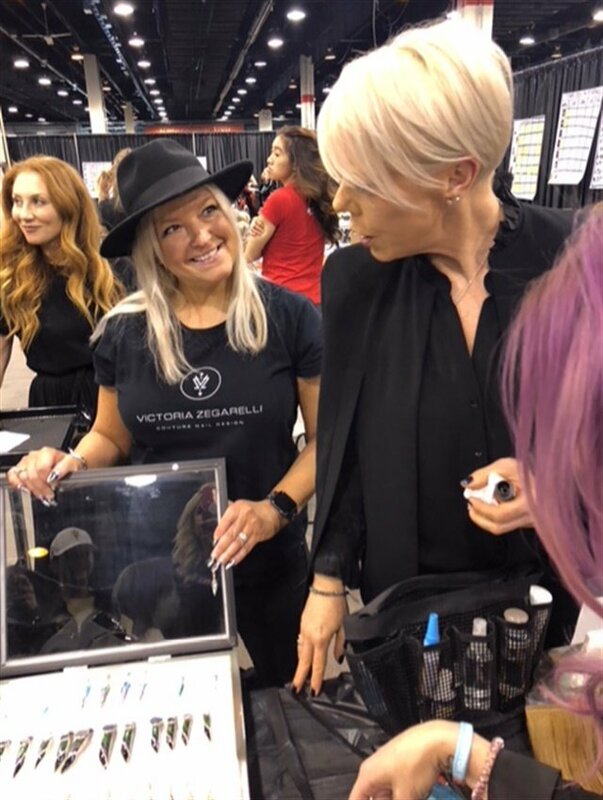 While working on a friend's nails she learned that that friend was a NextGen artist for the Matrix hair team, participating in the Beauty Changes Lives Experience at ABS Chicago. Zegarelli was instantly brought on as a collaborator. With only two weeks to come up with nail looks, Zegarelli worked before and after salon hours to perfect her nail creations, inspired by the Matrix mood boards. On April 29, her designs walked the BCLE runway, drawing the attention of many in the industry. Among those who loved Zegarelli's work was famous hairstylist Tabatha Coffey, who said Zegarelli's nails were "works of art." "I’ve always admired the fantasy and out-of-the-box creativity of the runway. From the avant-garde wardrobes to the surreal hair designs that just seem to defy gravity in texture and form, I know I can add a level of depth to any style to complete the look with my nail designs," Zegarelli says. Follow her on Instagram (@nailbarlounge) to see more works of art.